HEPS 2019 call for papers is open now. Paper proposal submission deadline is 31st of January (https://www.heps2019.com/index.php/call-for-papers). Authors are invited to submit manuscripts in electronic format using our conference paper submission system (https://www.heps2019.com/index.php/submissions/submission-online). 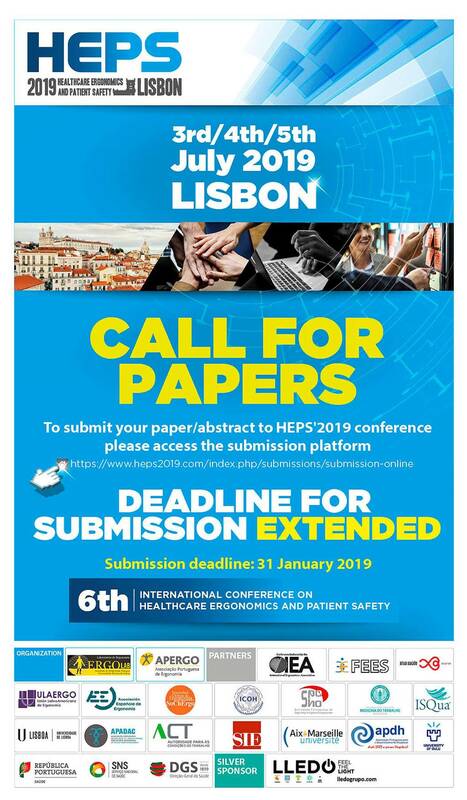 HEPS 2019 will take place in Lisbon, Portugal, from 3rd – 5th, July 2019, at Hotel Marriot and the topic of this 6th edition of HEPS is “Building Health and Social Care Systems for the Future: Demographic Changes, Digital Age and Human Factors“.